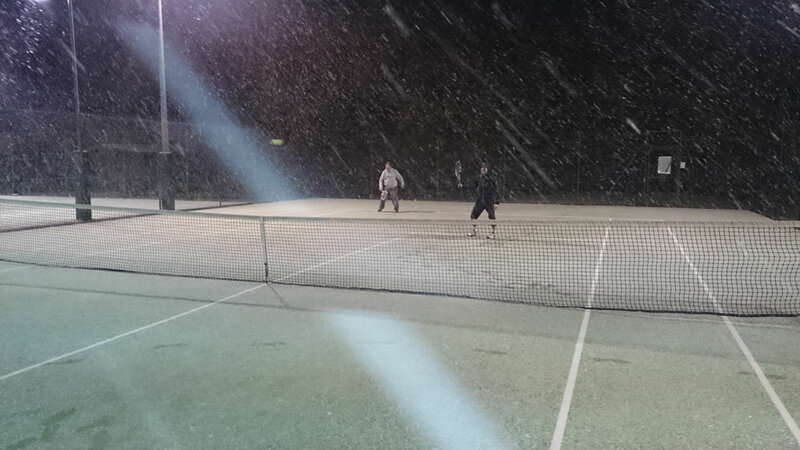 Winter Tennis - Are you ready for it? As everyone gets ready for the dreaded winter league, we all look for an extra edge. Some will look to base layer clothing, others to new shoes for better grip but the one area that will have the biggest impact on your game is your strings. As the weather gets colder and wetter, the ball doesn't warm up as much and won't travel as fast. When it gets wet it becomes heavier. Therefore your power level drops. There are a few options to help combat this. Change to a different string set up. If you are happy with your strings and the feel they give you then the obvious choice is to lower your tension. This is will increase your power and increase the sweet spot, which in turn will help with the shock of hitting the wet ball. Control isn't as much of an issue in the winter season. A second option to consider is to change to a thinner version of the string you are using. Again the feel that you like won't change too much but the thinner string is more elastic and therefore will throw the ball back out faster, again helping to increase the power. This can be done in a few ways. 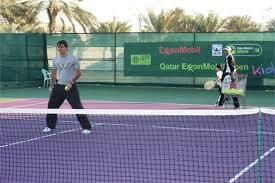 For one those players playing with a full bed of polyester string, winter tennis can affect your game the most. Your strings aren't the most powerful to start with and also create the most shock and vibration, so playing in cold wet weather this shock and vibration becomes amplified and the lack of power from the strings is now greater. You have the 2 options above that will help but also changing your string set up will help. To keep some of the feel of your polyester string you could consider a hybrid set up (polyester and multifilament/nylon) or if you really wanted to up the power level you could choose a multifilament or nylon set up. By choosing the hybrid you get the best of both worlds. You get the control of the polyester and the power of the softer string. There are a few options within hybrid set up and there is also tension to consider. Speak to your racket stringer about these, or if you want to contact me directly (rob@racketrestringing.ie) I will be delighted to help you. By choosing the full bed of Multifilament or Nylon the first thing you will do is really reduce the shock and vibration levels. Bare in mind, not only are the conditions cold and, possibly, wet but your body is also cold and therefore more susceptible to shock on impact. The softer string offers a larger sweet spot which makes your racket more forgiving and more powerful. For me this is the first thing you should be looking at if you are playing winter league, the fancy hat or long-johns can be sorted then. Enjoy our matches, i know I will.